ill start with a list of bulb sizes for all the switches and backlighting. todays addition will be the conversion of the auto p,r,n,d,d,2,1 from incandescent to led. 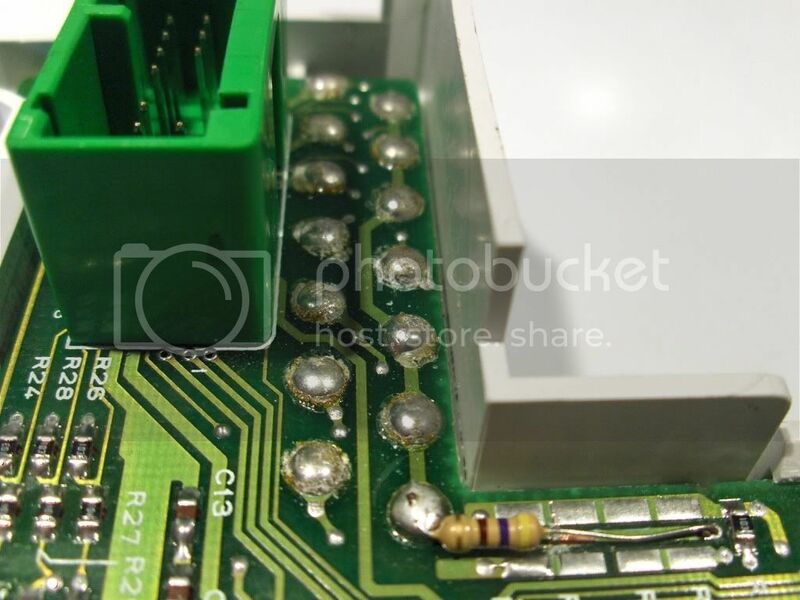 this is a tricky little mod that requires the use of a voltmeter, soldering iron, leds, resistors and some patience. so, remove the gauge cluster, flip it over and remove all screws on the back. this will give you three pieces, speedo, tach and the auto part. 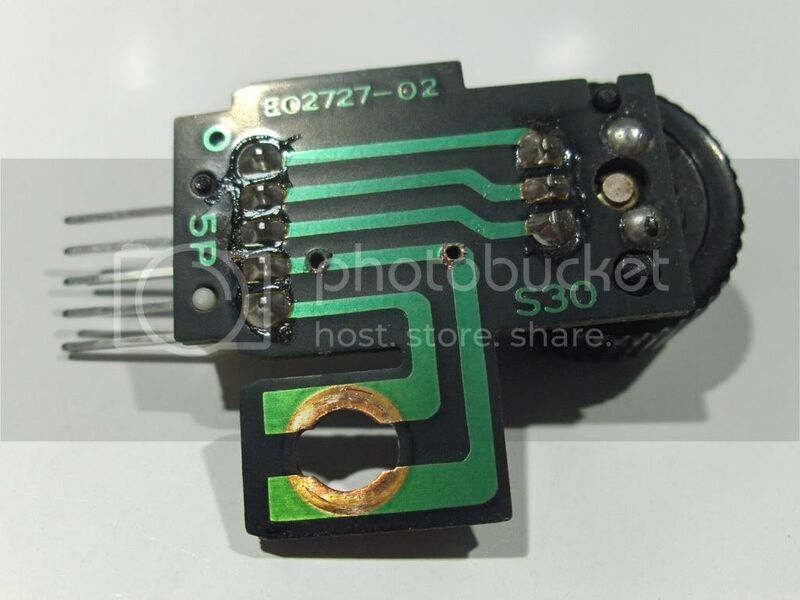 the back of the auto part is only held on with simple snaps and there is a screw holding the 1,2,3,4 circuit board to the face which will need to be undone to get it completely apart. at this point you should have this. 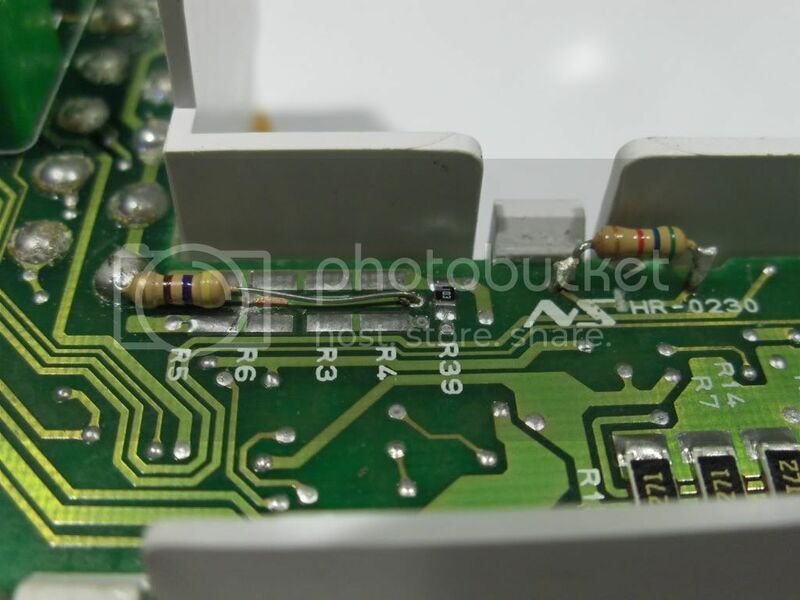 if you look closely you will see that all the terminals connect together then run under the resistor i have soldered in. under the resistor i have cut the trace with an knife. not too deep though. so that takes care of all the lights except the d4. depending which year of lude you have, there are two ways i have found so far. hear is a pic of the same process on a different trace. next. 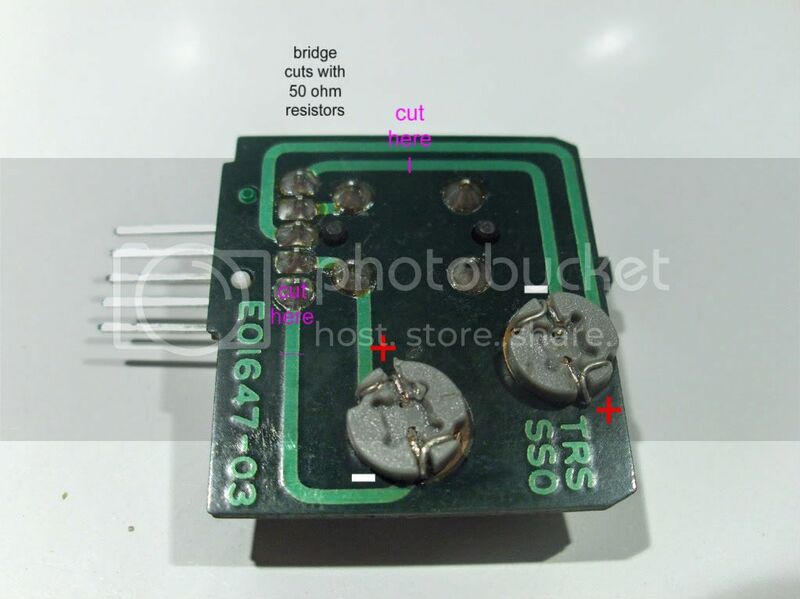 use the diode function on the voltmeter. put the red lead on a positive terminal and move the black lead on the negatives. 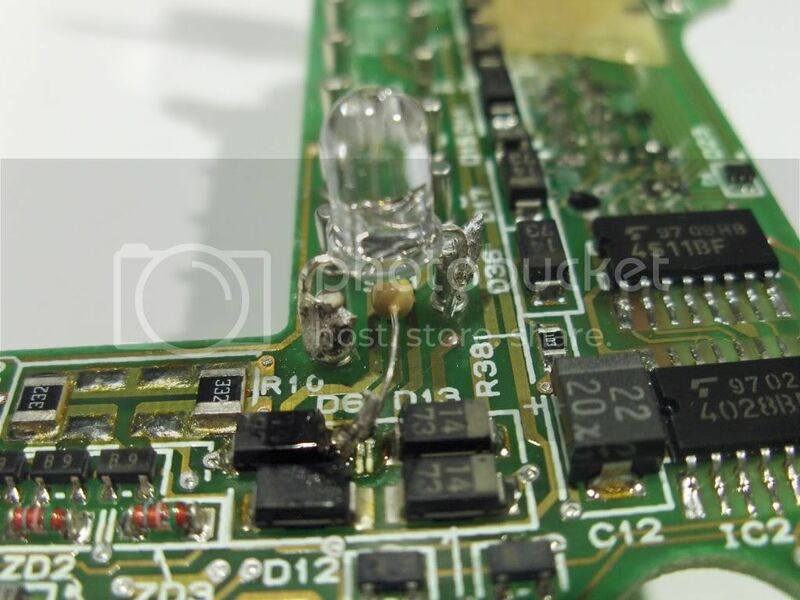 each led should light up like this and not if you reverse them. dont forget the d4 is reversed. if all this checks out take it out to your car just like that and hook it up to the green wiring harness in your dash. turn your key to the on position. the p and d4 lights should come on and then the d4 will go out. if this isnt the case, turn your key back immediately and start troubleshooting. 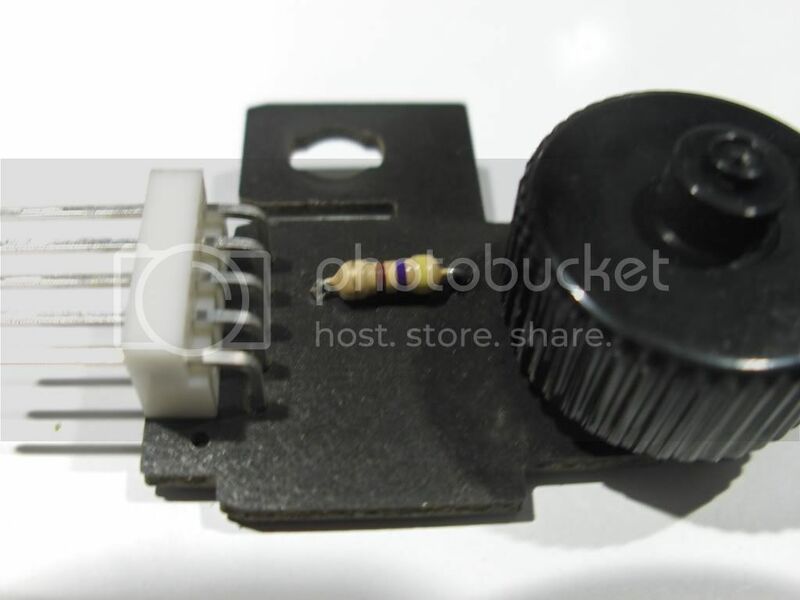 odds are you blew an led because it was backwards. if p and d4 success, push the brake pedal and move the shifter. mine are blue and look like this. with the red and green filters they actually show up with a tinge of purple. any questions please post them here and not through pm. any suggestions on how to make this guide better please pm me. cheers and best of luck. 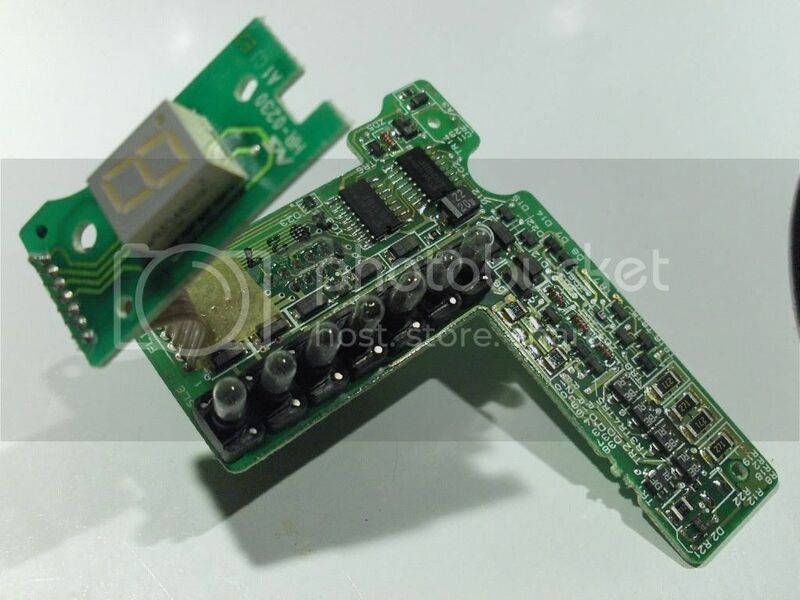 once you get the switch cluster out and get the dimmer apart, its actually really simple. i just cut the trace for the positive wire and put in a resistor in its place. wired the led diredtly to the pads where the bulb would have been with the positive side of the led where the resistor is.heres pics. here is a pic with instructions, would like to get a chance to do them all this way. after cuts and repair install an led. Last edited by Drjless; 05-17-2011 at 10:02 PM. 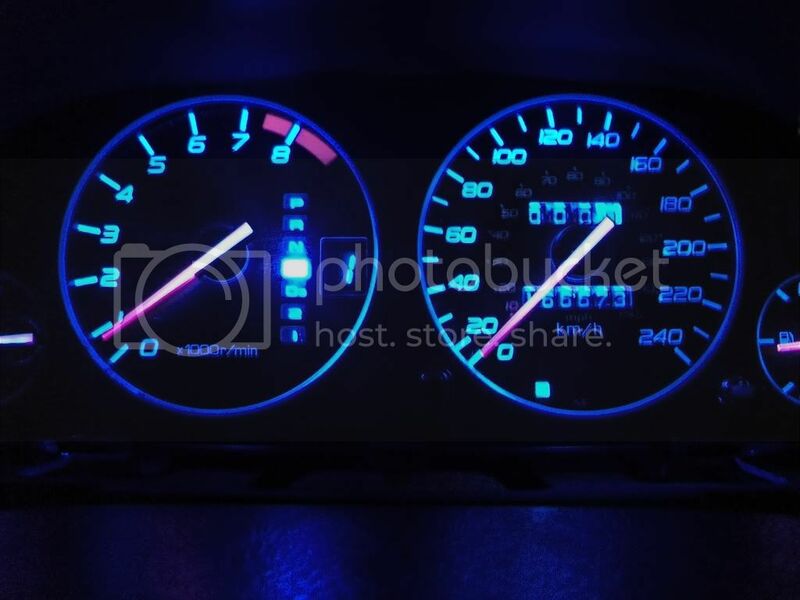 Just recently did almost all of my car however, my climate control is currently too dim in blue for my liking. Interested to see how you are going to do it because I have seen it done with blue while still being bright. nice mod... I know you answered a few peoples questions about how to change those lights. 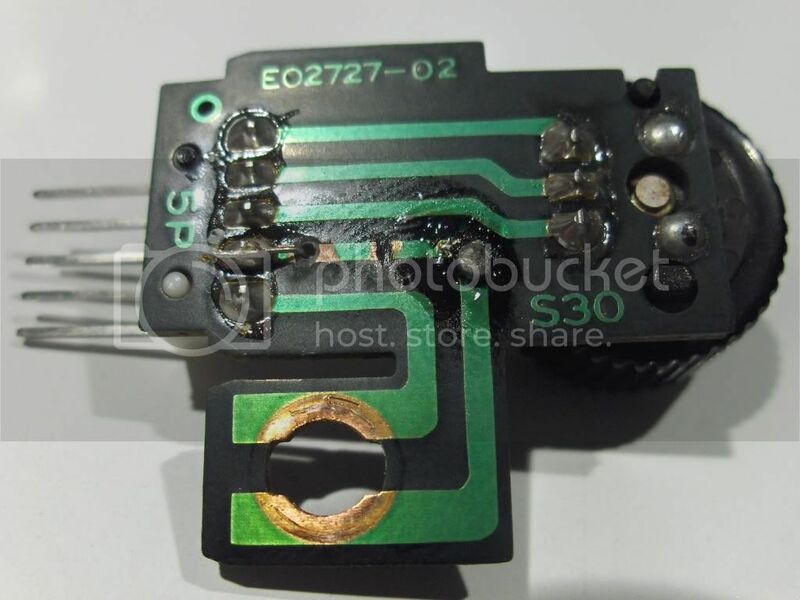 I just need to sit down with you and show you a few tricks to clean up your soldering technique and you would be golden! Nice creative work tho. such the perfectionist. this is probably the reason we get along so well. do i know you.... the talk is familiar.. actually that pic wasnt supposed to be on here. unfortunately i didnt take pics of the nice looking product. those resistors must have been on and off about 15 times as i was testing the light output from different r values to match the gauge backlighting. ^ you did a great job, probably better than I would do. practice makes perfect bro.